Couscous is a staple ingredient for many stove-less (no cook meals). Couscous in itself can be bland and benefits from the addition of spices as well as other ingredients to provide texture. 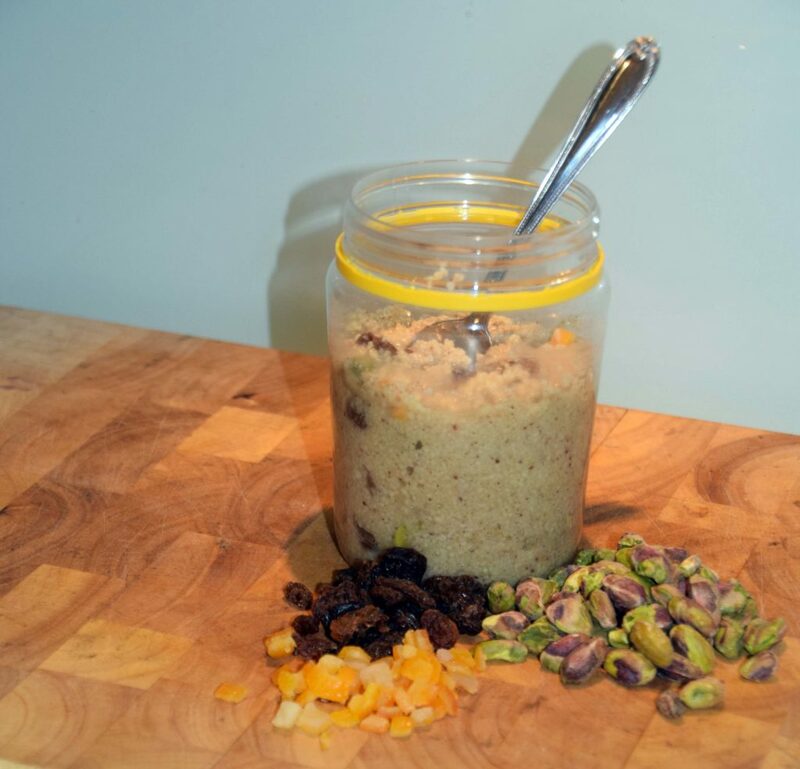 I have used this meal for many years at home and have adapted it for hiking. I often have this meal for lunch as it can be prepared prior to camping and only requires rehydration to eat. The mix of ingredients used in this recipe makes for a very calorie dense meal.